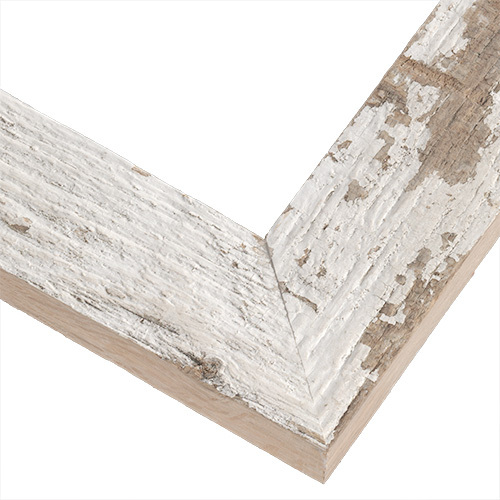 Transform your space with this white picture frame and own a piece of American history. 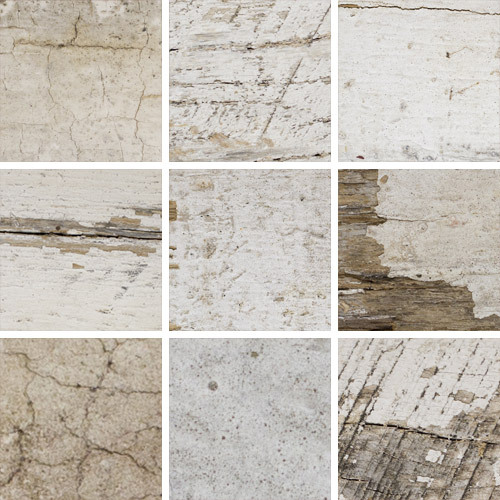 Handmade by our Artisans from reclaimed barnwood, it has a flat, squared profile, distinctive weathering and knotholes with fresh-sawn edges. 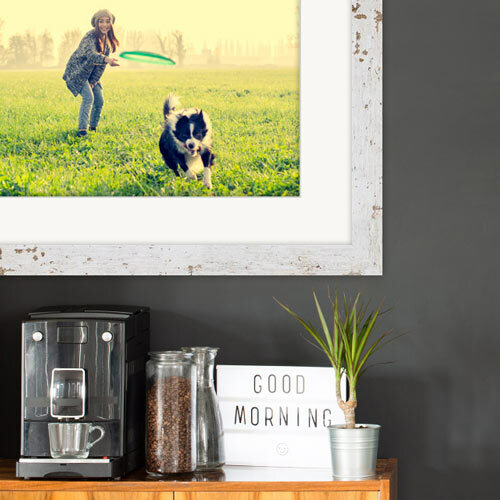 It will bring unique charm to your latest canvas, or as a vintage photo frame, watercolor frame or home for your kid’s latest drawing. Customize your size to 1/8 of an inch!